Ha! I crack myself up. I also assume that no one reads these things and I’m writing to myself. That’s why I thought it was so funny when Xyron shared my post about the Hanukkah table décor and mentioned my issues. Oh, my. I’m funny. Anyway, tomorrow is my birthday and I thought that before I have too much fun I’d go ahead and get another post up about a little home décor project that I made this year. This fits in with my cheap and easy theme that is the story of my life right now, and I still feel like it’s got a lot of cute (which is still very important to me). Check it out! It looks extra simple in these photos, but it really shines out on my buffet with my sparkly Christmas trees and other decorations, let me tell ya. 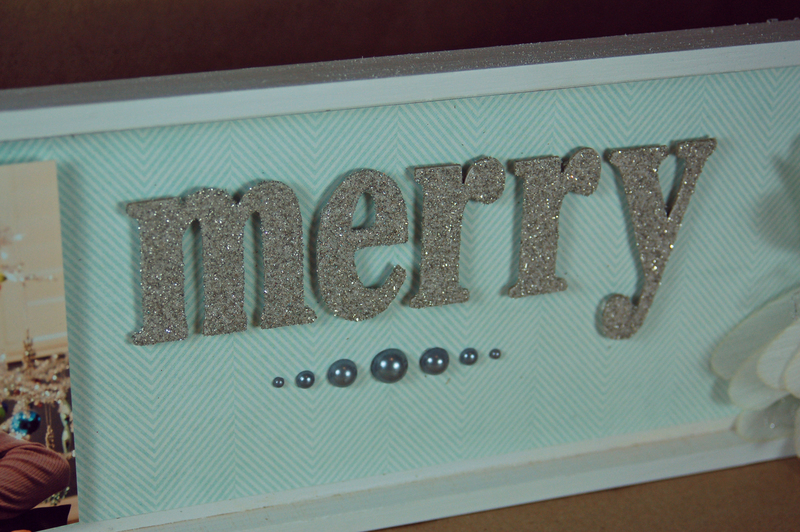 I combined some really pretty blue paper by Imaginisce, grey pearls by Studio Calico, chipboard letters and a fabulous flower from Maya Road, a $2 tray from Michael’s and a photo of my kids to make this little guy. Actually, it’s not really little. That is a 4×6 photo on there. The hardest part of this project is paying attention to your paper. 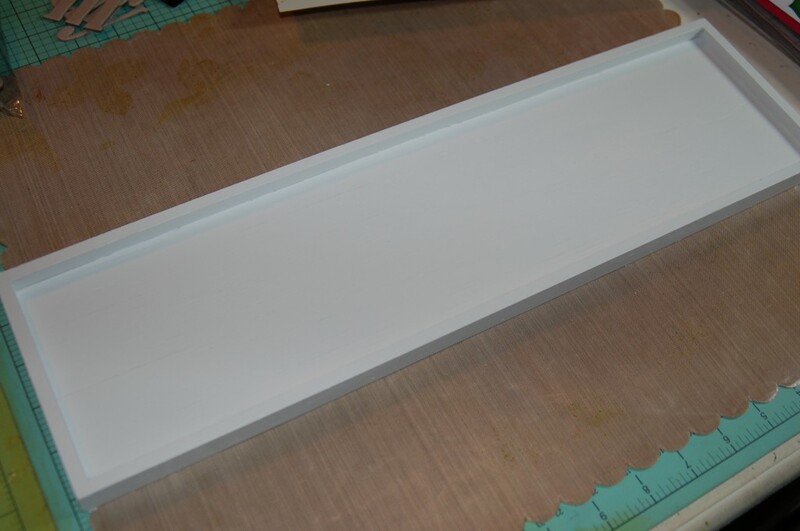 The tray is too wide to cover with just one strip, so you have to cut two and the paper needs to be one that repeats so that you can line it up at the seam. There is a seam, yes, but if you’re careful it won’t really show. Mine is mostly behind the photo and I was careful to line up the pattern so it’s hard to see. And the back has hangers so that you can use it in either direction. It’s actually a really nice little tray and you could do a ton of different things with it. I bought a second one when I was at the store recently and I can’t decide what I want to do with it. Too many options! Have a good weekend and I’ll see you again soon! Next postXyron + Miss Kate’s Cuttables = Cute!